Cuisinart 12-Quart Stockpot Just $27.33! Down From $100! PLUS FREE Shipping! You are here: Home / Great Deals / Amazon Deals / Cuisinart 12-Quart Stockpot Just $27.33! Down From $100! PLUS FREE Shipping! Amazon is currently offering this Cuisinart 12-Quart Stockpot for just $27.33 down from $100 PLUS FREE shipping! 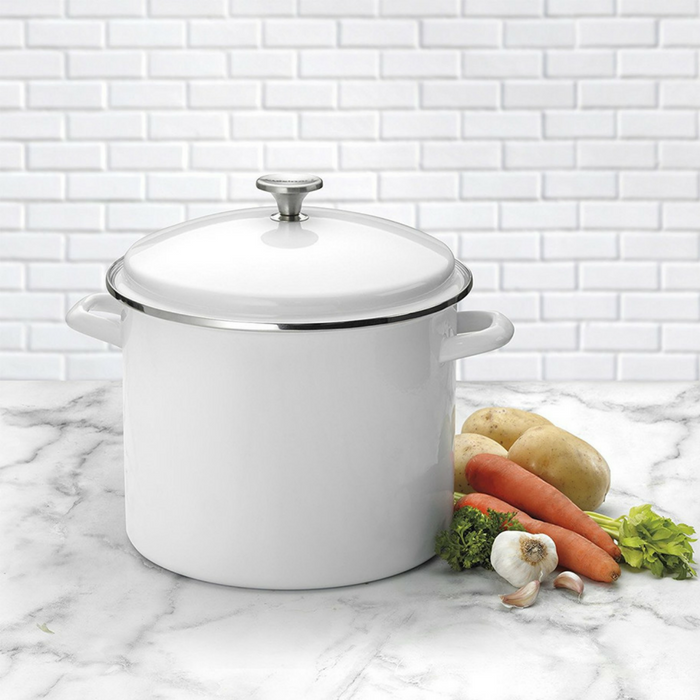 The Cuisinart Chef’s Classic Enamel on Steel stockpot is heavy-duty, multi functional and generous in size.